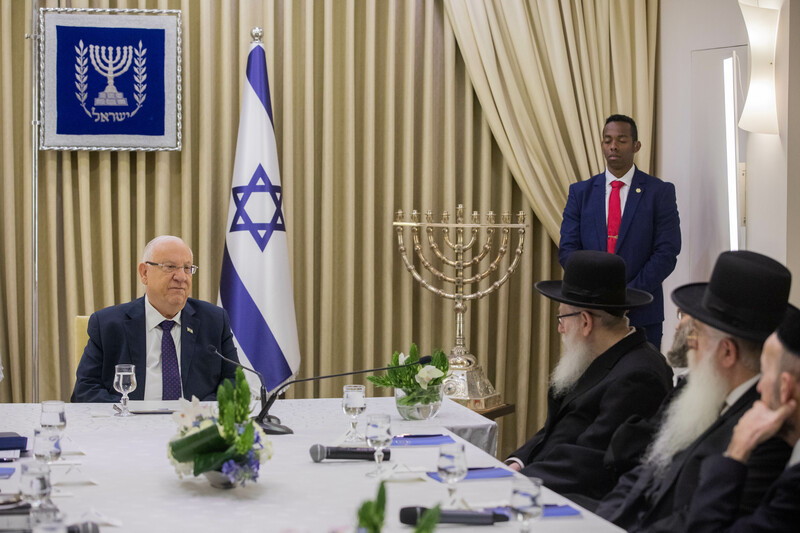 Jerusalem - Israel’s president began post-election consultations on Monday with political parties that will lead to his appointment of a candidate to form a government. Lieberman is a disgrace and a fool. Whata disgrace to see chareidim sitting with a true Apikoros as Rivlin. How can they be a part of a heretical government that desecrates Hashems name?! Its UNREAL!!! Whata sham!